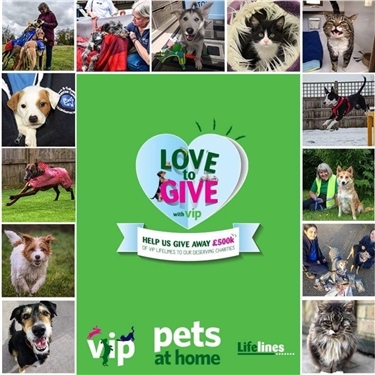 PLEASE VOTE FOR US AND SHARE Pets at Home is running a Love to Give campaign with VIP until the end of May. Cats Protection as a national charity has a chance of winning £50,000 cash to be distributed between branches (including us!) if successful. You don't have to be a member of the Pets at Home VIP scheme to vote, it is open to everyone, and you can vote 5 times. Please click on the link and vote for Cats Protection so we gain enough votes, you can do this 5 times so we get more votes. You will also have the chance to vote for local charities which are listed, so you are helping them as well as us. Thank you.